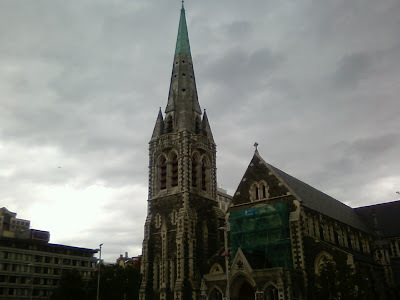 Cinematic Paradox: "New Zealand's darkest day"
You've probably heard by now that today, at 12.51pm NZ time, a magnitude 6.3 earthquake hit Christchurch, New Zealand's second largest city. This is the second time it has happened in five months. 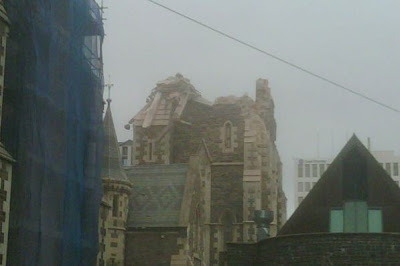 Back in September, Christchurch was hit by a magnitude 7.0 earthquake, in the early hours of the morning, which caused widespread damage. Though todays one was smaller, it was more shallow, and hit during the busiest time of the day in the busiest part of the city. Trust me, at that time of day, and with streets as narrow as theirs, its chaos. At least 65 lives were lost today. There was damage all over the show. My favourite city in the world is now destroyed, some parts beyond repair. If you want more photos, just to see how bad the devestation really is, go here. Words can't really express how bad I feel for those in Christchurch who will go to sleep tonight in the cold and the dark, with aftershocks shaking them every few hours. Its so sad how one thing can change everything in an instant. Its also hard to realize that a disaster has hit so close to home, and there is nothing I can really do about it. Except for maybe donating. Please, if you can, donate to these poor people. A little means a lot. All I conclude with is by saying this: Christchurch, you will get through this. Us New Zealanders have a lot of strength and we will all pull together to see you come out of this. Kia kaha, people. I wish you all the best, with all the love in my heart. I haven't heard about this yet, man, this is terrible. I hate when things like this happen. And people just assume that because only a 'few' lives were lost, it doesn't mean anything, but it does. They were, are, still human beings. It's horrible. Just simply horrible.